The New England Patriots were dealt a blow. A MLB World Series champion got stronger. A former NFL Super Bowl contender got weaker. That is all happening this week in U.S. Sports. The Patriots are not closing out the season like they would want. New England lost to the Miami Dolphins two weeks ago in dramatic fashion before falling to the Pittsburgh Steelers on Sunday and now they have lost the wide receiver who was supposed to change the team's fortunes. 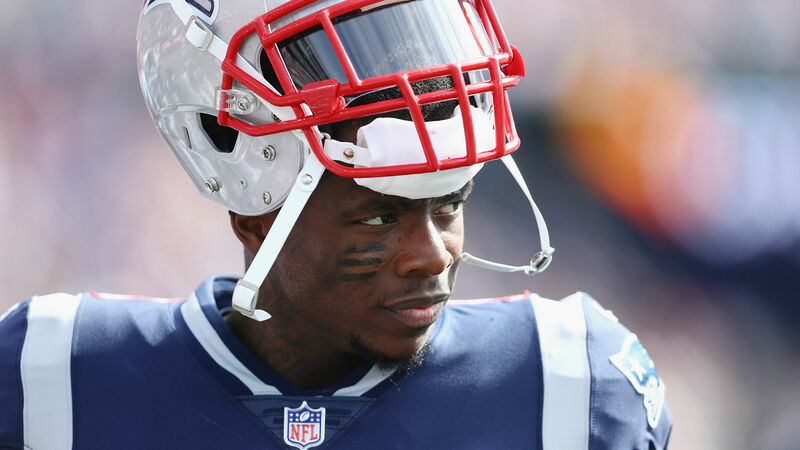 On Thursday, Josh Gordon announced he was leaving the Patriots to focus on his mental health. A few hours later the NFL announced the wide receiver had been suspended indefinitely for violating the league's policy and program for substances of abuse. New England acquired Gordon after he was placed on waivers by the Cleveland Browns earlier in the year and caught 40 passes for 720 yards and three touchdowns with the Patriots. Now Tom Brady may really have no one to throw to when the playoffs roll around. There have not been a ton of huge moves yet in the MLB offseason as Bryce Harper and Manny Machado remain unsigned, but the Houston Astros may have signed the next best hitter available on the market this week. Houston signed outfielder Michael Brantley to a two-year, $32million deal this week giving the team a much-needed left-handed bat for their line-up. Brantley has dealt with a lot of injuries in his career, but he is coming off a season in which he finished fifth in the American League with a .309 batting average. Brantley now joins a line-up featuring 2017 AL MVP Jose Altuve, 2015 AL Rookie of the Year Carlos Correa and two-time All Star George Springer. Oh yeah, and Alex Bregman made his first All-Star game and was in the MVP conversation last season. Houston just got even better. The Georgia Bulldogs may be losing a crazy good quarterback. According to multiple reports, Justin Fields, who was the number one dual threat quarterback in the 2018 recruiting class, is contemplating a transfer. Fields played sparingly this season for the Bulldogs as Jake Fromm got the lion's share of snaps under center. The true freshman was seen on camera less than enthused about his contributions to the team in Georgia's final regular-season game of 2018. The move is not official yet, but Fields is reportedly considering Ohio State as his next destination. He would likely have to sit out next season because of the NCAA's transfer rule. Saturday featured one of the most bizarre nights in the young NBA season. ESPN first reported that the Washington Wizards were closing in on acquiring small forward Trevor Ariza from the Phoenix Suns. It was later said to be agreed upon as Ariza was going to Washington in a three-team deal which would send Kelly Oubre Jr. to the Memphis Grizzlies while Austin Rivers, MarShon Brooks and Wayne Selden would go to the Suns. But the trade completely fell apart as there was alleged confusion on which Brooks was involved in the trade. The Suns reportedly thought they were getting Dillon Brooks in the deal, but Memphis insisted they had only discussed MarShon Brooks. Ultimately the deal was shut down. However, Ariza did go to the Wizards. The Suns came to an agreement with Washington on a deal which would bring back Rivers and Oubre. The Grizzlies were taken completely out of the deal. It was a weird day. Something was not right with Cam Newton in the Panthers' loss to the New Orleans Saints on Monday. That was clear on the field and it was confirmed to be a fact two days later when it was announced Newton would be shut down for the year. The Panthers have just a one percent chance of making the playoffs as they are now 6-8 for the year and head coach Ron Rivera thought the best thing to do would be shut Newton down. Taylor Heinicke will get the start for the Panthers in week 16. However, Newton might not be entirely done. Rivera said if the Panthers win Sunday then they could start Newton in a week-17 matchup with the Saints.